Brian Boland inherits a Baylor team that went 21-10 in 2018 and lost in the second round of the NCAA tournament. Brian Boland, a two-time ITA National Coach of the Year and a four-time national champion, has been hired as the new head men's tennis coach at Baylor. 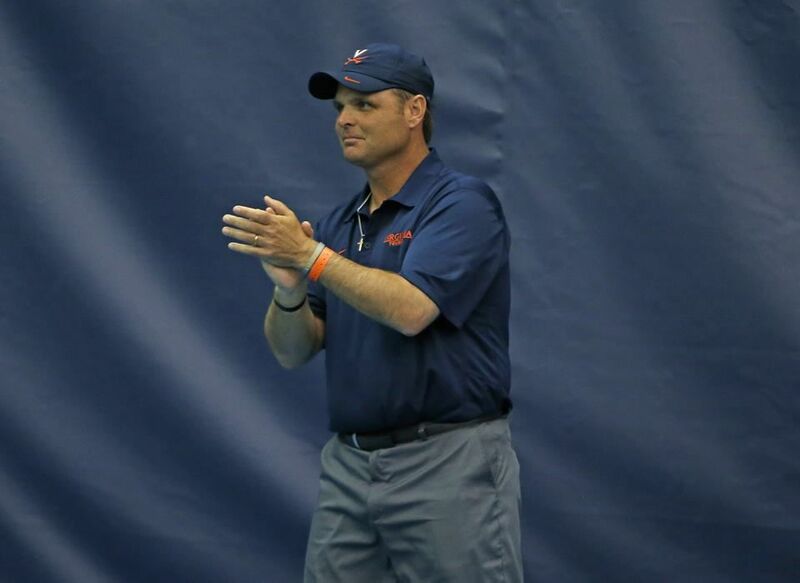 Virginia won four national titles in Brian Boland’s 16 years, including three straight from 2015-17. The tradition-rich Baylor men’s tennis program has a new chief, as the school is replacing one national championship-winning coach with another. Baylor announced the hiring of Brian Boland as head coach and director of tennis on Thursday. Boland replaces Matt Knoll, who stepped down on May 13 after 22 successful seasons leading the Bears, including a run to the NCAA championship in 2004. Boland knows a little something about tasting NCAA championship glory himself. He was head coach at Virginia for 16 years and won national titles in 2013, 2015, 2016 and 2017. He amassed a 436-57 record leading the Cavaliers before leaving that post in March 2017 to become head of men’s tennis for the USTA Player Development program. During his tenure in Charlottesville, Va., Boland’s Cavaliers won 140 consecutive matches against ACC opponents, a staggering streak that encompassed more than a decade and ranks as the longest Division I conference winning streak in any sport. Virginia advanced to the national semifinals in 10 of his final 11 seasons and achieved No. 1 rankings in 10 different seasons. Boland becomes the ninth head coach in BU program history. Boland inherits a Baylor program that went 21-10 this season and advanced to the second round of the NCAA tournament before falling to Texas A&M in College Station. Before going to Virginia, Boland coached five years at Indiana State, his alma mater. He led the Sycamores to a 121-32 record, including a 57-3 record in the Missouri Valley Conference and a 36-0 mark in conference play his final three seasons. Counting his years at Indiana State, Boland’s overall record is 574-90. Boland graduated from Indiana State in 1995 with a bachelor’s degree in political science. He and his wife Becky have four children — Briana, Bryce, Brendan and Brooke. If there was a single event where the Baylor equestrian team could count on wins all season, it was from the No. 1-ranked reining squad.